Your Body of Water is a project that represents biofeedback data in an aesthetic way for self reflection. The Intel RealSense camera picks up the user's heart rate when they are in front of the device. The display then visualizes their heart rate as a body of water. As their heart rate goes up, the water gets stormy, with larger and faster waves. As their heart rate goes down, the water goes calm. 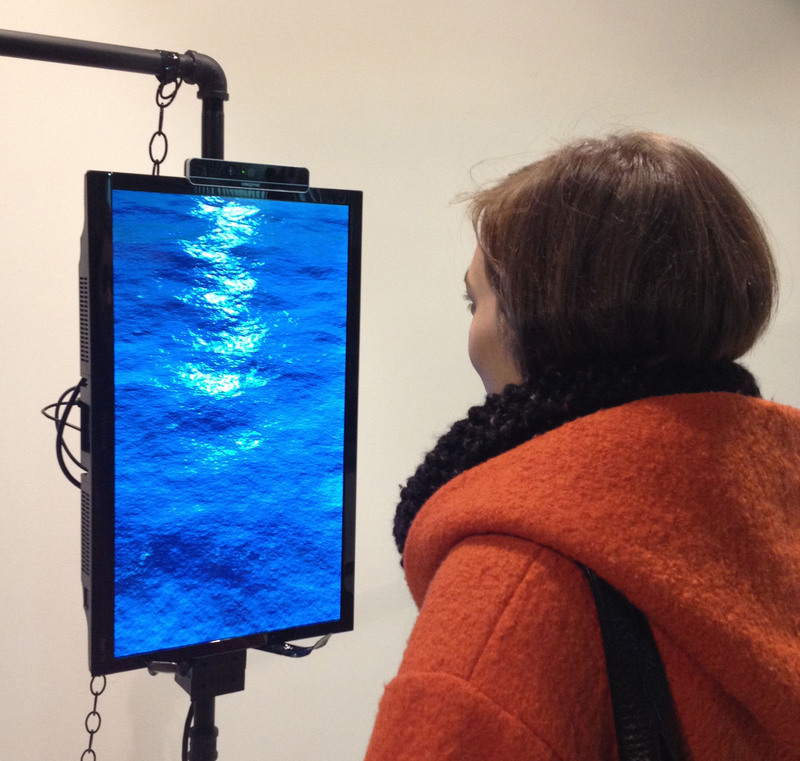 This work aims to help users reflect on how they are feeling and get more in touch with their bodily response. A user's heart rate is read by the camera and visualized as water.